Home Camping & Parks Building an RV park from scratch: I don’t know what I’m doing! Last weekend our families went up north to see our property for the first time. They wanted to see the cabin and offer their input. They are convinced that, with everyone’s help, we can fix up the cabin to live in instead of living in our 5th wheel. AJ and I had already made the decision to live in our 5th wheel and put our funds into building the campground. AJ crawled under the house and found that the foundation and floor joists are in remarkably good shape. The log walls are sturdy, and the roof doesn’t leak inside the house. It does leak badly where it hangs over the porch. We are going with a green metal roof now. The inside of the cabin will be an entire gut job. The wiring is exposed due to burst pipes and the old parquet flooring has come off. The porch needs to be replaced and all the doors and windows as well. We are working on a plan to restore the cabin and are in the process of figuring out which family members are good at doing what. We are still patiently waiting to sell our house, trying not to mess it up or cook as we have showings at a moment’s notice. Our daughter, Jenna, told us she is tired of eating out and we agree with her! In the meantime, we have paperwork do. The forms to fill out to acquire a Special Use RV Permit are not for the faint of heart. I about had a panic attack this week as the reality of what we need to do became quite apparent. I had called all the people on the list to get advice and what they needed from us. We are meeting with the Fire Chief and his crew on Friday. We are starting to build relationships with the townspeople as we need their help. Planning and Zoning, who will be the ones to approve our park, asked for: latitude and longitude locations, setbacks, utilities easements, a letter from the water company stating they can service us, the method of sewage disposal, culverts, fire department approval and 12 more pages of requirements. I am not going to pretend here: This is highly intimidating. I think I’m pretty smart and I can follow directions but I was so stressed out by what they are requiring that I had to stop. I am pretty sure I snapped at the P&Z gal and I feel bad about it. She needs all this by Friday for the Board to review, and it’s simply not going to happen this month. I need my RV Park engineer to help us now. Problem is, he is expensive – $35,000. I was told he is “cheap in comparison” to other engineers. We decided to put his retainer fee on a credit card so we can get started. I am going to share with you numbers and the truth about what this is going to cost us on our journey. I think it’s only fair so that someone else who is thinking about opening a campground knows what they are in for. Also to know why the fees to stay at privately owned campgrounds are more than $50 a night for most campgrounds nowadays. The 15 acres of land alone was $400,000, and we have an agreement with the seller of the land. We paid her $40,000 and we owe her $200,000 by May 1st. Then we have a balloon payment due in 2 years. The good news is we have equity in our home and that is why we have to sell it. She will get paid the $200K and then we can pay the engineer., as well as our credit card to retain him. After that, it is all commercial loans. That is a very scary reality – that it is just us financing this project. We could have investors if we wanted to. As of now, we want this business venture to stay within our family. So here we are, facing the realities to follow through with our dream. I was told if starting a business doesn’t scare you half to death, it isn’t the right business. I am here to tell you I may be scared, but I’m not a quitter. Fears, try to come get me – just know I’m going to punch that fear in the face. THIS IS going to happen! Thank you for reading, and see you in the trees! Also please leave a comment. Read the last post, Decisions, decisions. It’s showtime!, here. I admire your gumption. Good luck in your project. I’m curious about how sewage is handled in most rv parks. Is yours going to be on a septic system? If so, how do they permit for sizing of tank and drain field? Or does it all go into a holding tank and get pumped periodically? I applaud your vision and courage. New campgrounds are desperately needed. Perhaps if the approving bodies were a little more user friendly, we would find more folks like you and your family willing to take a chance on building one. Thank you for your efforts. I have owned my own company for 12 years, and still there are days I am scared to death. A few times making payroll was terrifying. It all works out and I would not change a thing. Sounds like you have the exact right attitude. I wish more people could experience the joy of owning their own business, their own destiny, their own time. It is really rewarding on so many levels. The very best fortunes (not luck, hard work makes it happen!). Wishing you the very best! Can’t even begin to imagine all the stress you are having. Sincere wishes for your success! Thank you Magee for your support!! I truly appreciate it! 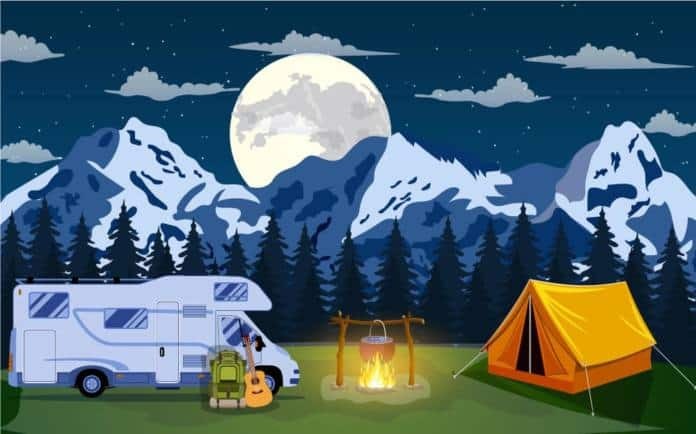 Consider opening up a portion of your RV Park for dry camping as you are building the rest. That might provide a little income to help you out. Hi Ralph! That is a idea! We were going to do a storage area for RV’s and boats. I am going to run the numbers as that may be a much better idea! Thank you for your feedback! Storage can be a great option, just be aware in our litigious age that it is imperative you have a security system. Also love the dry camping option. Something else to consider would be to offer water, electric only sites as you move to the next level. What about a Kickstarted campaign? 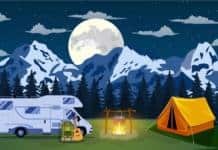 You could sell a night for $50 and get lots of RVTravel.com investors that only get one night’s free camping! Hi Karin! That is a really good avenue we can pursue. That could seriously help us out so much. Let me share that with AJ. Again, it’s hard for us to ask for help like that. We need to accept that we cannot do this all on our own and also remember that people really do want to help us succeed. Thank you so much for your suggestion! Instead of investors, you might want to think about selling “timeshares.” Something like a particular period (say week 26 for example) for a set number of years (say 5). You would raise some money but not lose ownership. Buyers would have a set week for a set price for a set period. You could offer for one price up front, and another price if over a time period to pay. Hi Don! Thank you for the suggestion. We have seen that as a way generate income for campgrounds as well. I have to be honest as I have not researched this avenue as of yet. Who knows? Never say never!!! Hopefully there is a “reuse” building materials shop near you. 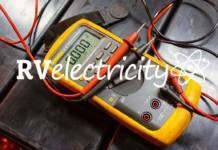 One can find great building materials and appliances etc for low prices. This could save you a lot of money on your renovation of the cabin. You may also find some gems to include in the campground, decorative pieces removed from demolished buildings and their grounds. Thank you Pat! That is a great idea! There are several thrift stores of various finds here in town. I will check them out! We can’t imagine trying to build a campground in today’s environment. We do, however, applaud your efforts. We will stay with you when it is completed. Best of luck! Thank you Herb and Ginger! It was a true reality check and it came to a head last week. This week after meeting with the Fire Chief and County Assessor, we are feeling much better and confident in our plans! We do hope you make it up and see us! Thank you for the kind words of support Richard. We did meet with the Fire Chief and his crew as well as the Assessors Office. We are definitely being welcomed, it’s the laws and logistics we have to follow. We agree with the sugar aspect as well 😉 we will get through this. The outcome will be so worth it!